From time to time, living cells will accidently make an extra copy of a gene during the normal replication process. Throughout the history of life, evolution has molded some of these seemingly superfluous genes into a source of genetic novelty, adaptation and diversity. A new study shows one way that some duplicate genes could have long-ago escaped elimination from the genome, leading to the genetic innovation seen in modern life. Researchers have shown that a process called DNA methylation can shield duplicate genes from being removed from the genome during natural selection. The redundant genes survive and are shaped by evolution over time, giving birth to new cellular functions. “This is the first study to show explicitly how the processes of DNA methylation and duplicate gene evolution are related,” said Soojin Yi, an associate professor in the School of Biology and the Parker H. Petit Institute for Bioengineering and Bioscience at the Georgia Institute of Technology. The study was sponsored by the National Science Foundation (NSF) and was scheduled to be published the week of April 7 in the Online Early Edition of the journal Proceedings of the National Academy of Sciences (PNAS). At least half of the genes in the human genome are duplicates. Duplicate genes are not only redundant, but they can be bad for cells. Most duplicate genes accumulate mutations at high rates, which increases the chance that the extra gene copies will become inactive and lost over time due to natural selection. The new study found that soon after some duplicate genes form, small hydrocarbons called methyl groups attach to a duplicate gene’s regulatory region and block the gene from turning on. When a gene is methylated, it is shielded from natural selection, which allows the gene to hang around in the genome long enough for evolution to find a new use for it. Some young duplicate genes are silenced by methylation almost immediately after being formed, the study found. “What we have done is the first step in the process to show that young gene duplicates seems to be heavily methylated,” Yi said. The study showed that the average level of DNA methylation on the duplicate gene regulatory region is significantly negatively correlated with evolutionary time. So, younger duplicate genes have high levels of DNA methylation. For about three-quarters of the duplicate gene pairs studied, the gene in a pair that was more methylated was always more methylated across all 10 human tissues studied, said Thomas Keller, a post-doctoral fellow at Georgia Tech and the study’s first author. “For the tissues that we examined, there was remarkable consistency in methylation when we looked at duplicate gene pairs,” Keller said. The computational study constructed a dataset of all human gene duplicates by comparing each sequence against every other sequence in the human genome. DNA methylation data was then obtained for the 10 different human tissues. The researchers used computer models to analyze the links between DNA methylation and gene duplication. The human brain is one example of a tissue for which gene duplication has been particularly important for its evolution. In future studies, the researchers will examine the link between epigenetic evolution and human brain evolution. This research is supported by the National Science Foundation (NSF) under award numbers BCS-1317195 and MCB-0950896. Any conclusions or opinions are those of the authors and do not necessarily represent the official views of the sponsoring agency. 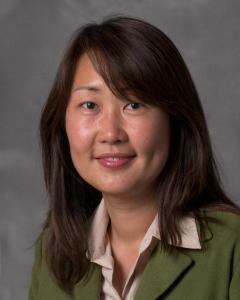 Soojin Yi is an associate professor in the School of Biology and the Parker H. Petit Institute for Bioengineering and Bioscience at the Georgia Institute of Technology.